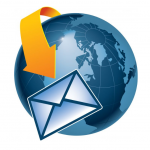 emailUSA offers an exclusive business email database, second to none. We can help with your email list compilation, email marketing campaigns and also help append your current email address contact list. Contact emailUSA today to connect with owners, managers, and decision markers. emailUSA makes it simple and cost effective to drive traffic to your business using the best database for your targeted marketing email campaigns. Hassle free email deployment of your campaign can be handled by our dedicated team of email deployment specialists and our email marketing professionals. Our team will help you get your message to your customers, while your competition’s emails go to the spam bin!